I’m enamored by language, written and bound; it’s a passion rivals the depth of my love for my husband (and not occasionally). I can’t help it. I’m addicted. There’s something about the rhythm, the pace, the patterns of words and symbols that makes my heart go pitter patter. I read with my heart racing, with tears spilling, fists clenched, toes waving. My book stalks my psyche even when it’s not in hand. Accounts enthrall and entangle me; plots insist on my distraction. 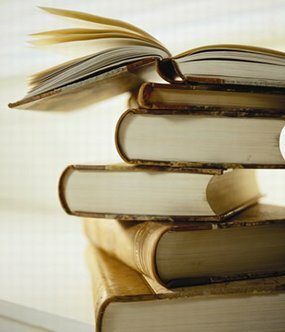 I can’t get enough- fiction or non-fiction, poetry or prose, I’m entirely, overwhelmingly dependent on the written word. Now you understand why I hate that in between place, when the last lines linger in my mind, where the characters chatter beyond others’ ears, disrupting reality. Waiting finds me grouchy, and withdrawing. Before I know it, I’ve wandered from trails of contentment onto a suspension bridge encompassed by eerie silence-into the emptiness, the void of “No Book” land. Don’t get me wrong, Cjane is fab, and many of you inspire, but words aren’t the same on a screen. Tell me: Did you love your latest read? What’s your all time fav? Do you reach for it again and again, or is the memory enough? As a matter of fact I did enjoy the last read. The last new book(s) I completed was The Hunger Games, throughly enjoyed those. I know what you mean Jamie, I hate no book land as you so eloquently put it. I find myself reaching over and over again for Ender’s Game and the 7 books that go with it, I already know what the next page holds but I just keep turning and reading into the wee hours of the morning. Glad to see that you are so enthralled with written language that you decided to share a bit of it with us again! I’ve been meaning to read the Enders Game series. Keep reminding me. Working on more blog posts- keep reminding me on that , too. I feel the same way!!! I love to read, but alas, I havn’t read anything pass on worthy in a while. I have been reading a lot of non fiction lately. I read something call “panic virus” which was about Andrew Wakefield and the MMR shot scandle. stuff. It was really interesting, but sort of hard to get through. Now I’m reading “Enlighten your child’s mind” which is about how to help your children succeed in school. Another interesting, but slightly hard read.